We’ve seen Chromecast for the past couple of weeks, and we feel like we had a good handle on how things work, especially the intricate ones with the new Chromecast. We've seen the Chromecast setup guide, mirroring smartphones and casting YouTube videos but after enough time with them, we want to pass on some of that new-found knowledge onto you. So, chrome up, here are some best tips and tricks for Chromecast for you. Let’s start with something simple, so you might already know you can cast your smartphone screen to Chromecast using the native cast feature. But do you know you can also cast your Chrome browser tab directly to your Chromecast? There is no need to download any additional apps. For instance, you want to give a presentation to your client, all you need to do is make sure your computer and Chromecast are on the same Wi-Fi network. Then open Chrome (you can import your slides to Google slides) and then the click on three dots in the upper right corner of Chrome to open the menu, then choose “Cast.” And then Boom! — tab cast. Or if you want to cast your entire desktop, click on the “Cast to” drop-down and choose “Cast Screen” instead. Ideally, if you have videos on your PC that you want to be able to stream to your TV, you have to use an HDMI cable, but thankfully, with Chromecast, you can stream your views over Wi-Fi. All you need to do is install a Chrome app, Videostream for Google Chromecast. And it can automatically pick a local video file from your computer and send them to your Chromecast. The video playback is also much smoother than what you would have got from Chromecast tab casting. Oh yeah, by the way, you can also stream from VLC to Your Chromecast. Just make sure you have the latest version of VLC media player, and look for the Renderer, or Scan option under playback. So, here is something that I learned the hard way. Chromecast downloads those high-resolution backdrops every 30 seconds or so. Which is cool, we all like it after all. But, here is the thing, even if your TV is OFF, your Chromecast will still download those images in the background, which could be an issue if you don’t have unlimited data. Sounds weird, right? So, why does your Chromecast is still awake when the TV is OFF. Well, the most TV supports HDMI-CEC (we’ll come to that later on) but in layman’s terms, what it does is it lets you control your TV even when it's OFF. For example, you can say, "Hey Google, turn on the TV." It sounds cool, doesn’t it? But in case you don't’ need these features, and have limited Wi-Fi bandwidth, it’s better to connect your Chromecast power supply with your TV USB port. This way, whenever you turn off your TV, the Chromecast will be OFF as well. Okay, so this one is awesome, and I'm pretty sure you don't already know about it. Unlike Fire TV and Roku, Chromecast doesn’t come with its own remote. But, guess what, if you have a new TV, you can kind of use it’s remote to control Chromecast playback. All you need is a TV that supports HDMI-CEC (which most modern televisions do anyway), although, they just called it with a different name, so you might have to google that part. Anyways, in our LG smart TV, we find this option under Simplink. Simply turn it ON, and now you can pause and play your Chromecast video. Similarly, if you have a Fire stick or some other streaming device, you would be able to control that from TV remote and vice versa. Just Dance Now is a good one. It uses your phone, which acts as a motion-based controller. And the best part is, it works for all Android TVs, not just Chromecast. More often than not, your Chromecast comes with offers like free YouTube Red subscription, free movies on Google Play Store, etc. While there is no guarantee you have an offer, but it’s worth checking out every once in a while. Make sure your Chromecast is plugged into your TV and then open the newly designed Google Home app, tap on your profile tab at the bottom right on the top right to bring up settings and then choose Offers from there. Here you should see offers, again, as I said, I don’t have any offers right now, but most users do. I recently got one where they were offering a huge discount on Google home mini. Unlike most Android TV and Apple TV (which supports Ethernet port for faster internet), Chromecast is only designed to work on Wi-Fi. 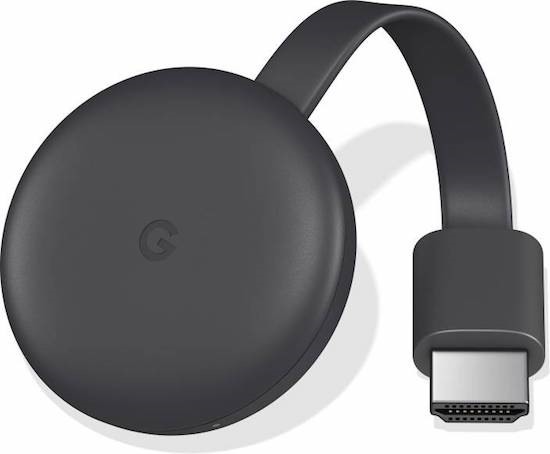 But if you have a flaky internet connection or your TV is too far from the router, then it’s best to use an Ethernet adapter with your Chromecast. Yes, my friend, all version of Chromecast supports Ethernet adapter, we got one off of Amazon, and it works pretty damn well for both Chromecast and Fire stick. We have dedicated video on how to set it up. Check it out. Finally, if your Chromecast is stuck or if you are just planning to sell it, then you can easily reboot and reset it directly from your Google home app. Though, the options are buried deep under the settings menu. Open the Google home app, find your Chromecast there, next click on the gear icon on the top right to bring up Chromecast settings, next again click on the 3 vertical dots option on the top right, there you should find both reboot and factory reset option which lets you reset your Chromecast. Are there any tips or trick you want to share with us? Let us know in the comments section below. Also, while you’re at it, check out Smart DNS Proxy if you're keen to unblock geo-restricted content on sites like Netflix, Hulu, Pandora, Amazon Prime Video – there’s plenty of those on our YouTube channel. We've done a bunch of videos so give them a go.